Salute to service! 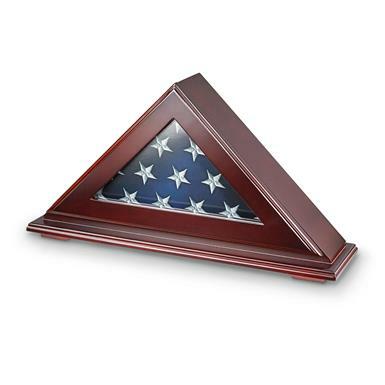 Take pride in America by showing off your military flag with this Patriot Flag Case. 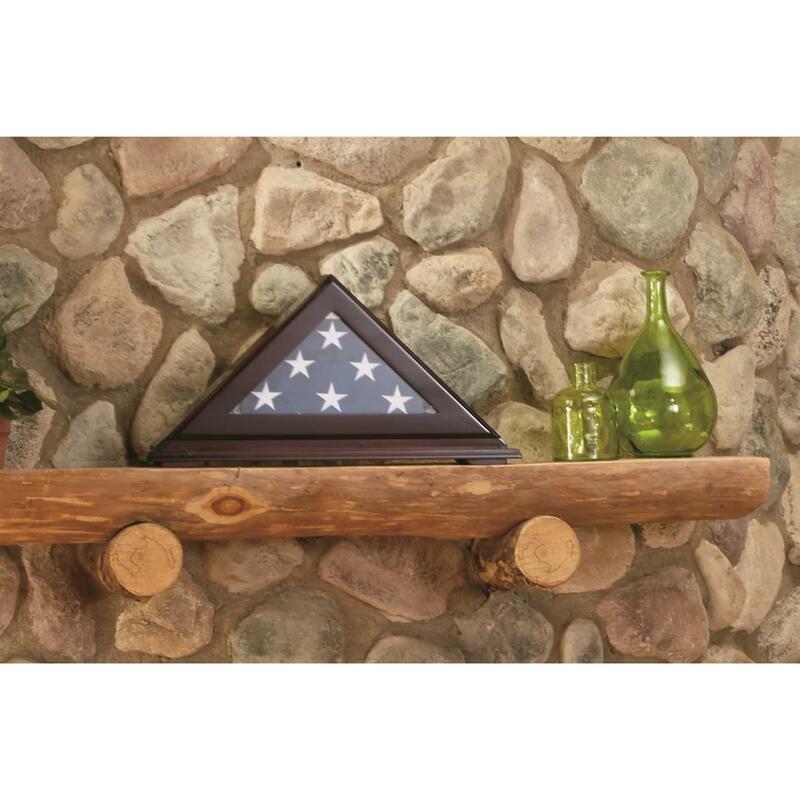 Made from solid wood with VELCRO® straps to secure your flag. But what makes this Concealment Case special is its hidden surprise. 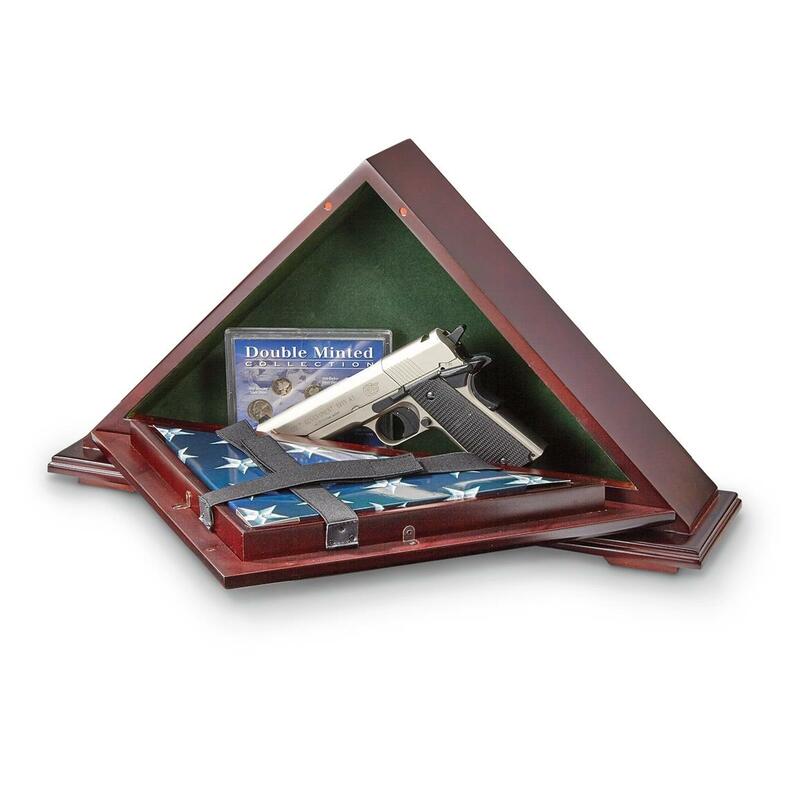 Underneath the flag is a lockable compartment for keeping your handgun safe and hidden in plain sight. Measures: 22" x 4.25" x 11.5"h.
Patriot Flag Case with Concealment, PSP is rated 4.5 out of 5 by 12. Rated 5 out of 5 by Graybeard44 from Great piece! Got it as a gift. Great product and very well made. I was a little skeptical at first, but once I took it out of the box I loved it. Perfect for displaying my wife’s grandfather’s flag while giving us another place to hide a weapon. Rated 4 out of 5 by Lonna 4 from Great for concealment Although it was too small for my father's burial flag, (I used a smaller one to fill it) it works very well with all my handguns. Rated 5 out of 5 by Andy from Nice looking piece Appears to be well made. Rated 5 out of 5 by Thomas from Great Price, looks beautiful, nice workmanship Great Price, looks beautiful, nice workmanship. I have been looking for something like this. Rated 5 out of 5 by The Steve from I really liked my new flag case. It arrived in great shape and fits the flag perfectly that I purchased the case for. there is a tiny bit of wobble in the door for the flag that I traced to a slightly loose screw in the hinge on the left side. A tiny screwdriver fixed that. The wood finish is excellent and the price is approximately one half of a similar product offered by a local merchant. The pistol room behind the flag is a bonus feature. 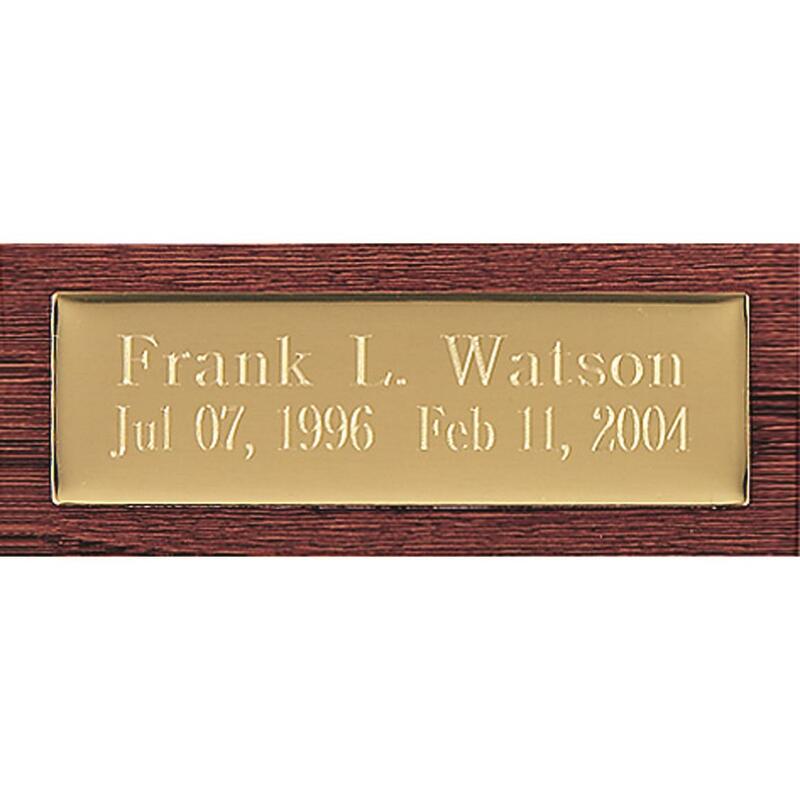 I primarily purchased the case for my father's memorial flag. He landed on Iwo Jima Feb. 19, 1945. He was in the 90th Seabees attached to the Fifth Marine Division.